Set smack in the middle of Dunedin’s Octagon—and thereby the center of town—St. Paul’s Anglican Cathedral is unlike any other in New Zealand. First constructed in 1862, the cathedral endured an entire century of half-completed jobs, often because the building party eventually ran out of funds. Though the stone structure is still impressive, the multi-period styles of architecture created a noticeably curious look. The architectural oddities aside, the cathedral today isn’t known for looks, but rather, for its sound. Numerous professional musicians and singers have gotten their start in this choir, and the enormous organ with its 3,500 pipes is the Southern Hemisphere’s largest. On occasion, the cathedral will open around 1pm for a 20-minute concert, and the general public is welcome to attend and experience the holy acoustics. When the light is right, it falls through the stained glass of the large Dunedin Window, and Maori, Christian, and historical themes can be found in the colorful panes. Services at the church are held on Sundays at 8 am, 10 am and 12:10 pm. For weekday concerts (most often on Tuesdays), there is a suggested donation of $5, but all visitors are free to enjoy without an official charge. Hours: Services are held on Sundays at 8 am, 10 am and 12:10 pm. Peer at rare yellow-eyed penguins and visit nesting grounds of the northern royal albatross during a full-day tour of the Otago Peninsula and Dunedin. Spend your morning sightseeing in Dunedin’s city center, including highlights of the Octagon, followed by an optional visit to Larnach Castle. In the afternoon, immerse in the natural beauty of the Otago Peninsula and the scenic coast along Taiaroa Head. Numbers are limited to 19 people to allow for personalized attention from your informative guide. Explore the city of Dunedin at your own pace with a 2-hour self-guided audio tour. 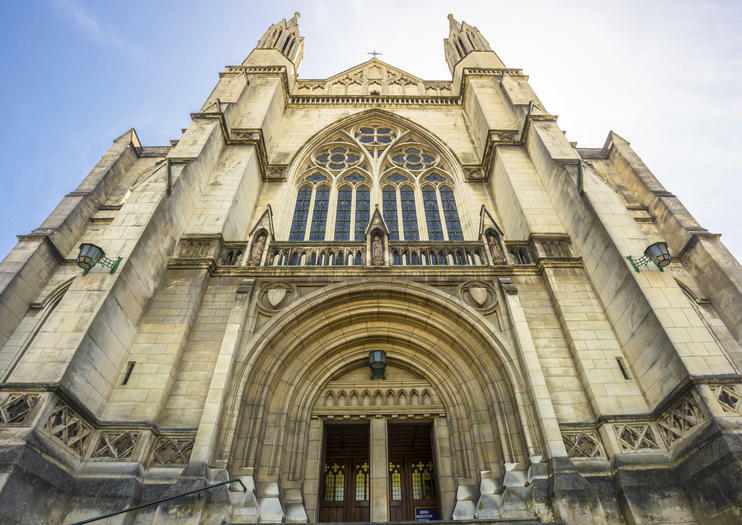 Learn about the history and heritage of the city as you take in landmarks such as the Octagon, Dunedin Railway Station, and St Paul's Cathedral. You can also find some of New Zealand’s steepest streets and local establishments like Speight’s Brewery. Simply download the audio file and maps, then begin whenever you like. The Espresso tour is just the pure essence of Dunedin, without the froth. From the soaring spires to the seedy underbelly, you'll see the sights and hear the stories in New Zealand's most fascinating and beautiful city. Born and bred Dunedinite! What could be better? How about a Dunedin's hippest spots to send you on your way.